This detached unit is approximately 64,500sq.ft. and sits on a site adjacent to a main route into Crewe with links to the M6. 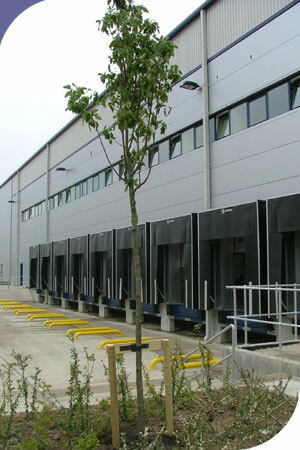 The unit has mezzanine offices above the loading area with inspection windows looking over the warehouse. The unit has 9 dock levellers and 2 level access doors leading onto a large service yard with storage and parking for articulated vehicles. The eaves to the warehouse are approximately 11 metres giving a clear 10 metres to the underside of the steel haunch. Adjacent to the service yard is a car park with 25 parking spaces giving access to the office and the warehouse.